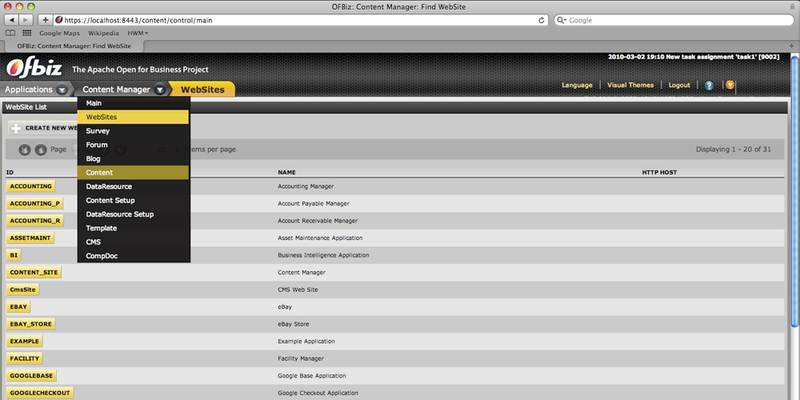 In my earlier posts we saw how can we setup different static pages for a site developed in OFBiz. Now we will see how your client or a developer can directly make changes to the static pages. For this we use Content Manger application. The following are easy steps which can be communicated to clients once the static content data setup is completed by the development team and the site is live. Later these changes can be easily managed by client. 3. In the search options put in the appropriate search criteria and click on the Find button eg. 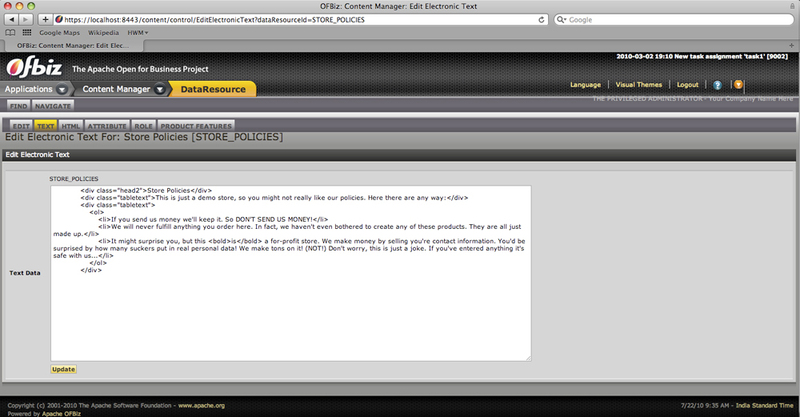 STORE_POLICIES. 6. Edit the text and press the Update button and the page will update the text on the site. This was one of the process that can be used to update static page contents on the site without requiring any changes in code base. So now whenever it comes to updating text on static pages when the site is live, these changes can be done easily with Content Manger application. If you want to get more details related to OOTB OFBiz processes contact HotWax Media today.